We have always wanted to go to Hawaii, but living in NYC, that flight just did NOT seem realistic. Now that we live in LA, we decided it was time to finally check out the Hawaii Magic! 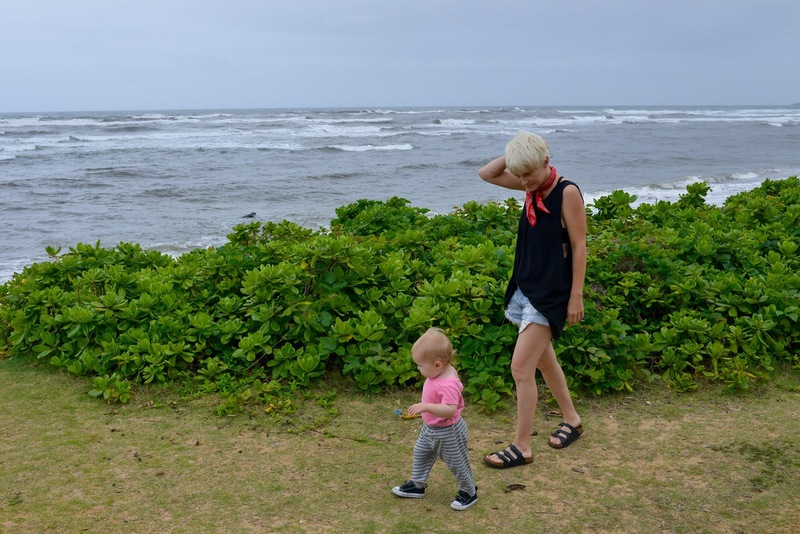 We decided on Kauai as our destination and decided against island hopping, to keep it as stress free as possible with our 16 month old. 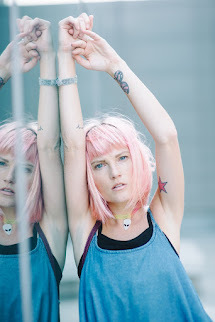 I spent WEEKS researching and planning this trip, and I wanna share all my finds with YOU! We divided up the trip and did half in Princeville (north shore) and half at the Grand Hyatt in Poipu (south shore). The entire trip was cloudy and rainy, so some of the things we had planned didn't work out. But we were still able to do SO MUCH despite the weather. First off, I highly recommend renting a car. We were not planning to, and OMG I am so glad we did. There is no way we could have survived without one. We used TURO, which i am obsessed with. You rent right from the owner, it's awesome - and you can get the car delivered right to the airport, win! When on the North Shore, there are SO many little hidden beaches. The waves crash pretty far out, so these spots are fun and safe for little ones (note there are no lifeguards, so stay safe and aware). 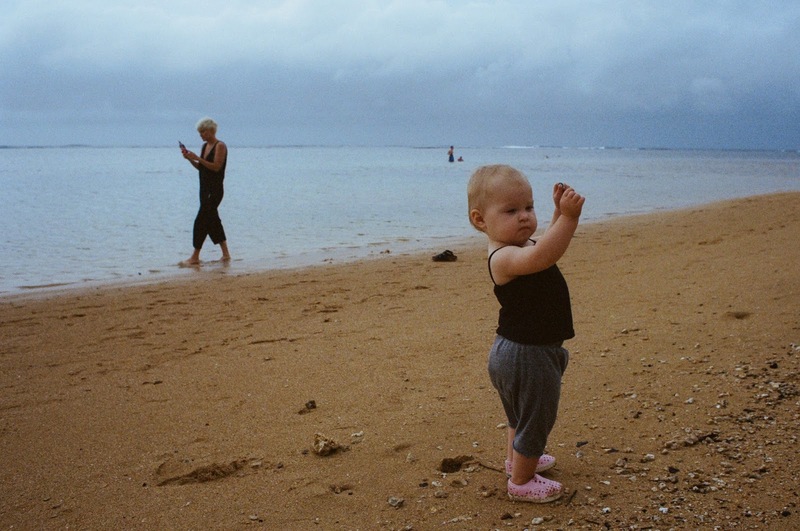 We LOVED Anini Beach, and I hear it's a great place to snorkel. We only got to walk along the beach since it was raining, but it was so beautiful! 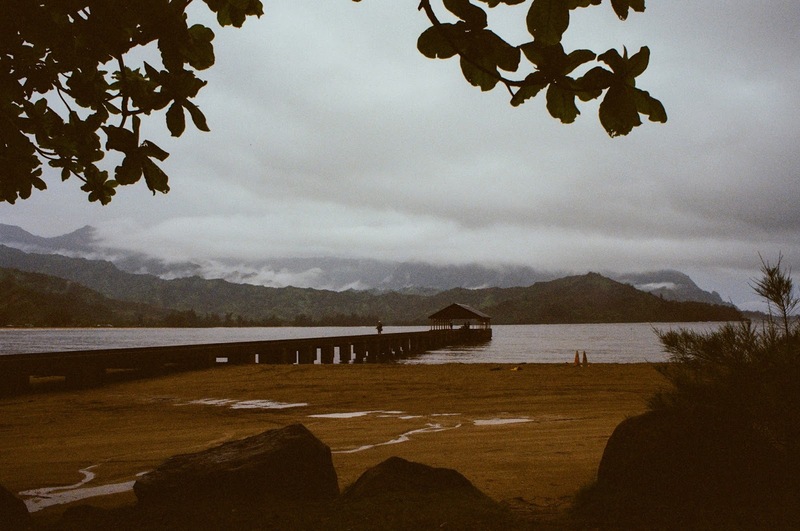 Another must see is Hanalei Town, Pier and Bay. The little town of Hanalei has tons of shops and restaurants. I ate all of the burritos & tacos from every mexican place around - YUM. The pier and bay are STUNNING. Even in the rain it was amazing, I can only imagine how awesome it would be to layout and swim there. The water was calm - and I'm told there are usually snorkel rentals all over the area. 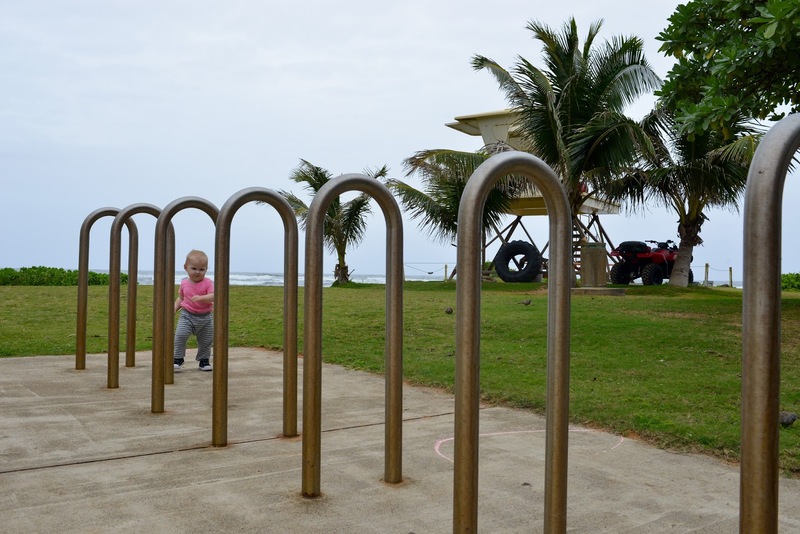 Another AWESOME spot we loved was Lydgate State Park and Beach. This was Poppy's FAVE! 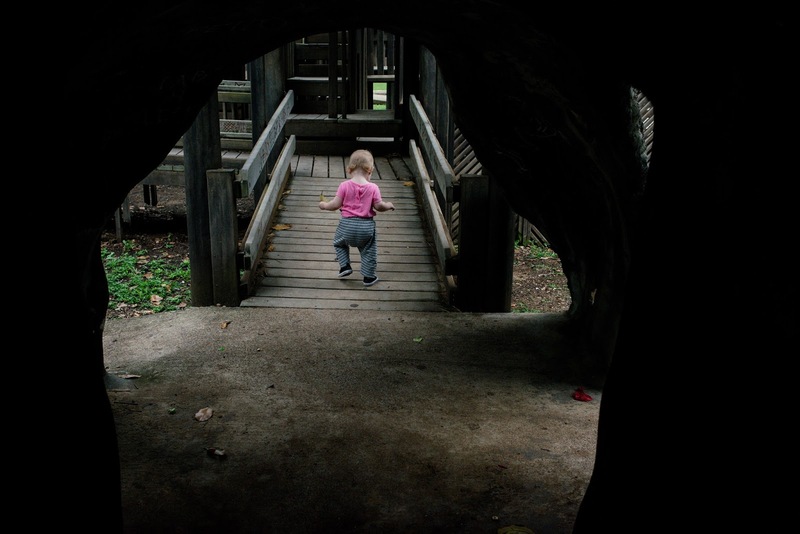 It is an ENORMOUS playground made of wood. Caves, slides, climbing galore! And it was right off the beach, so of course we ran around there after. One thing I did NOT know about Kauai was the wild chickens that are EVERYWHERE. I mean it was pretty hilarious. On our first day we ate at the CUTEST little spot that is perfectly on the way to Princeville from Lihue airport. It's called EAT HEALTHY and it was PERFECT! Poppy fed her quesadilla accidently to some chickens and then the chickens decided to jump on the table and eat all our food - this seemed to be a recurring theme of our entire trip. So yeah, BEWARE OF CHICKENS! Despite the rain, we explored SO much of Kauai's amazing north shore. We spent hours and hours in the car, driving around, jumping in and out of the car to snap pics, walk on empty beaches and explore. After a few days of exploration we drove down to the south shore to stay at the amazing Grand Hyatt Kauai. We were hoping for a few days of relaxing at the pool and beach, but the sun still didn't come out for us. Even without the sun, we still got to experience this incredible resort. You walk in to the lobby and the ocean is PERFECTLY framed by their open layout. Our room had an OCEAN VIEW and a balcony that was to die for. 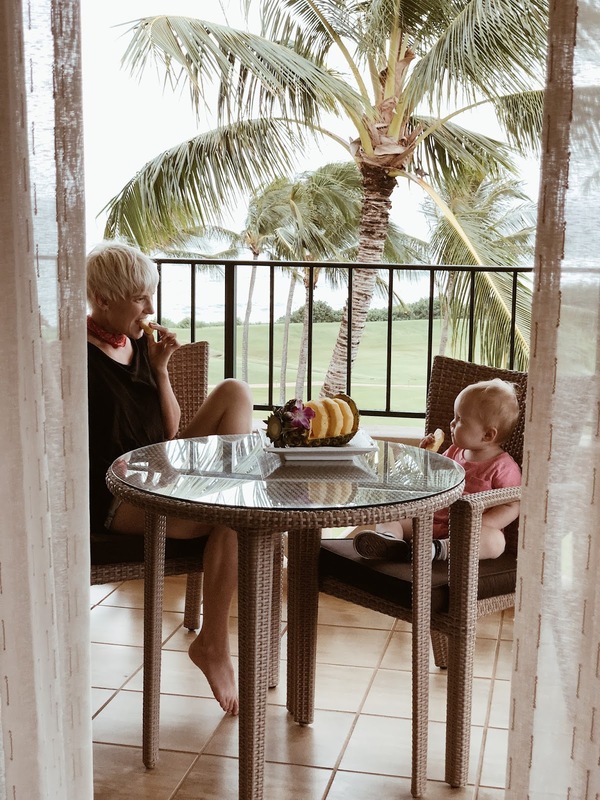 The weather didn't stop us from enjoying the MANY pools, the multitude of restaurants, direct beach access and even a few little hikes right off the property. On our last night at the Grand Hyatt we were able to attend their Luau. It was absolutely AMAZING! It was held indoors due to weather, but the entire spectacle was still not to miss. The food was so good. The standout was the pork - I am still craving it! The dancers and the show was spot on. Poppy was totally glued! She kept running up to the stage to watch closer. Definitely something you do not wanna miss! ROUND UP! Here is a quick guide to all the things WE think you can't miss in Kauai. Eat Healthy Kauai - get the acai bowl. watch out for chickens. VERY kid friendly. Anuenue Cafe - amazing breakfast! Jack Harter Helicopter tour - not for babies. Epic views. Queens Bath - advanced/scary hike - not for the faint of heart. Grand Hyatt Kauai. amazing views. amazing resort extra kid friendly!